Tongbai county, Nanyang completed construction on a baking soda production center on March 15. The base is expected to generate an annual output of 400,000 tons per year. 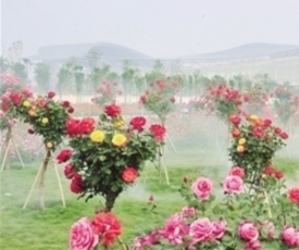 In the first quarter of this year, Xixia county, Nanyang invested a total of 7.62 billion yuan ($1.14 billion) into 46 projects currently underway. As the temperature rises in early spring, flowers in Nanyang are beginning to blossom, turning it into a "city of flowers". Huge numbers of people are flocking to Nanyang to admire the city's stunning scenery. 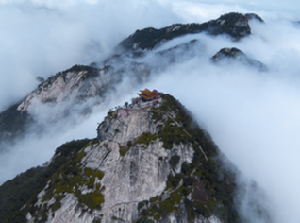 Zhenping, a southwestern county in Henan province boasting a rich culture and abundant natural resources, has implemented a "tourism plus" strategy by strengthening all-for-one tourism and carrying out infrastructural improvements to build up its local tourism brand. 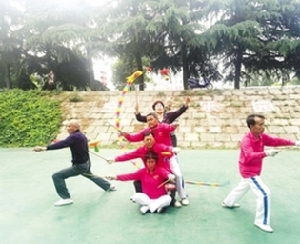 As the citywide fitness program gains steam in Nanyang, an increasing number of elderly are going to local sports centers and parks to get in shape. The country's first research center for tunnel mechatronics engineering was recently launched in Nanyang, Henan province. 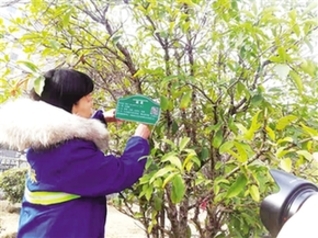 Recently, information cards with special QR codes have been placed on plants at local gardens throughout Nanyang, Henan province, offering people some basic information about the trees and flowers in the gardens. Nanyang's total imports and exports ranked second in Henan province in January, reaching 1.57 billion yuan ($234.6 million).